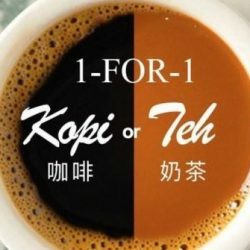 19 Sep 2018 Wang Cafe: 1-for-1 Hot Kopi or Teh for Wang Cafe Facebook Fans! 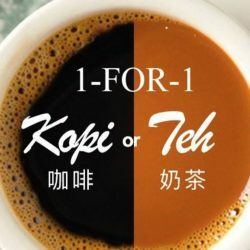 Wang Cafe's 1 for 1 Hot Kopi / Teh deal is back today! 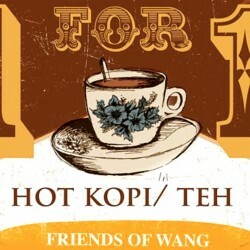 Enjoy your 1 for 1 Hot Kopi / Teh all day today at any Wang Cafe and Heavenly Wang outlet! Present WangCafe Facebook page to enjoy this deal! Wang Cafe's 1 for 1 Hot Kopi / Teh deal is back for this month! 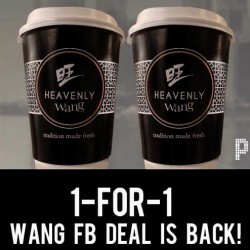 Enjoy your 1 for 1 Hot Kopi / Teh today at any Wang Cafe and Heavenly Wang outlet! You know what to do- Like, Share & Enjoy! Wang Cafe's 1 for 1 Hot Kopi / Teh deal is back for this month! Enjoy your 1 for 1 Hot Kopi / Teh today at any Wang Cafe and Heavenly Wang outlet! SHARE, LIKE to ENJOY this FB deal! It's WANGNESDAY today! 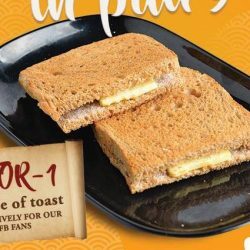 Enjoy your 1 for 1 Wang toast today at any Wang Cafe and Heavenly Wang outlet! Don't forget to like their FB page to enjoy this deal! 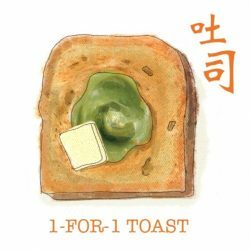 Grab a friend and enjoy 1-for-1 Toast at Wang Cafe tomorrow! Don’t say we didn’t jio you! T&Cs Apply. Just like their FB page here and flash the image below! 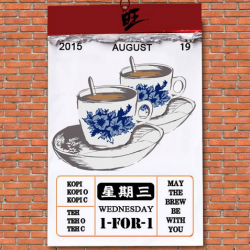 Grab a friend and enjoy your 1-for-1 Kopi or Teh at Wang Cafe today! Don’t say we didn’t jio you! T&Cs Apply. Just like their FB page here and flash the image below! 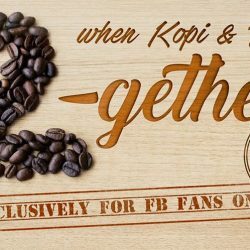 Kopi and Teh Twogether makes the perfect Wangnesday combination! 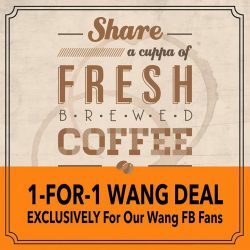 Simply like their FB page to enjoy Wang Cafe's FB 1-for-1 Hot kopi / Teh deal! See ya tomorrow! A must have accessory this Wednesday! 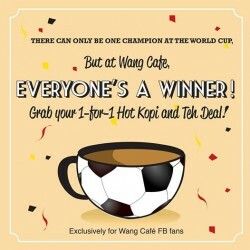 Simply like our FB page to enjoy WangCafe FB 1-for-1 hot kopi/teh deal! See ya tomorrow! T&Cs apply. For more info, visit www.wangcafe.com. Perfect blend only at Wang Café! 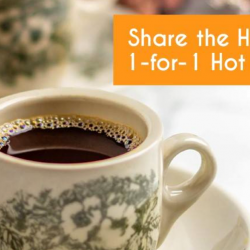 To enjoy the 1-for-1 Hot Kopi / Teh Wang FB Deal, all you have to do is LIKE & SHARE here! See you tomorrow! T&Cs Apply. Grab a friend and enjoy your 1-for-1 Kopi or Teh at Wang Cafe today! Don’t say we didn’t jio you! T&Cs Apply. The World Cup has ended with only one champion. However, Wang Cafe wants to make everyone a champion! From today(16 Jul. 2014) onwards, every FaceBook fan of Wang Cafe gets to enjoy 1-for-1 Hot Kopi & Teh Deal. Present WangCafe Facebook page to get the deal. Available at all Wang Café and Heavenly Wang outlets.